Designed to supplement UCAPP’s core curriculum by offering extensions to UCAPP’s current principal preparation program courses and internship opportunities. Optional and participation may count toward the internship. Facilitated to provide a collaborative, hands-on adult learning experience utilizing authentic case studies, real and simulated data, artifacts and documents, and simulations. For UCAPP Workshops (Hartford): The most convenient place to park is in the Front Street South Garage (corner of Arch Street and Front Street Crossing). The entrance / exit is located directly across the street from the UConn Hartford campus. Please click here for tonight's PPTX (UCAPP PLUS Hartford 03 class only). Thx! Please click here to access My Tableau. Thx! 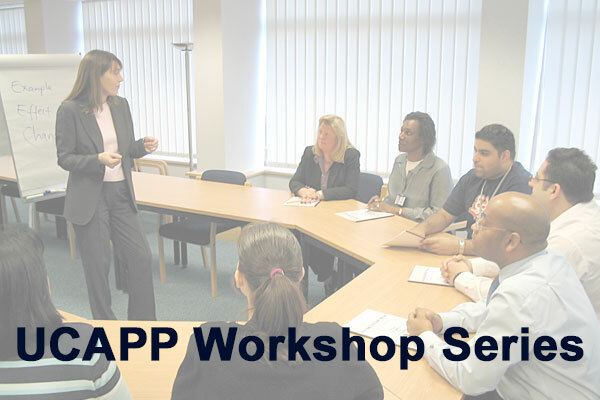 Register today for upcoming UCAPP Workshops! Click the title below for pre-work and other useful documents and resources related to the next UCAPP Workshop. We post here a few days prior to each session. These documents and resources will be useful to our work this year and beyond. This program is identified on the Connecticut Office of Higher Education website (www.ctohe.org) as “Education Administration (092)” with the CIP code 130401.